Kershaw Tinder Personal Axe | BUDK.com - Knives & Swords At The Lowest Prices! Enjoy all the quality you've come to expect from Kershaw Knives in your soon-to-be new favorite campsite tool, this Tinder Personal Axe. 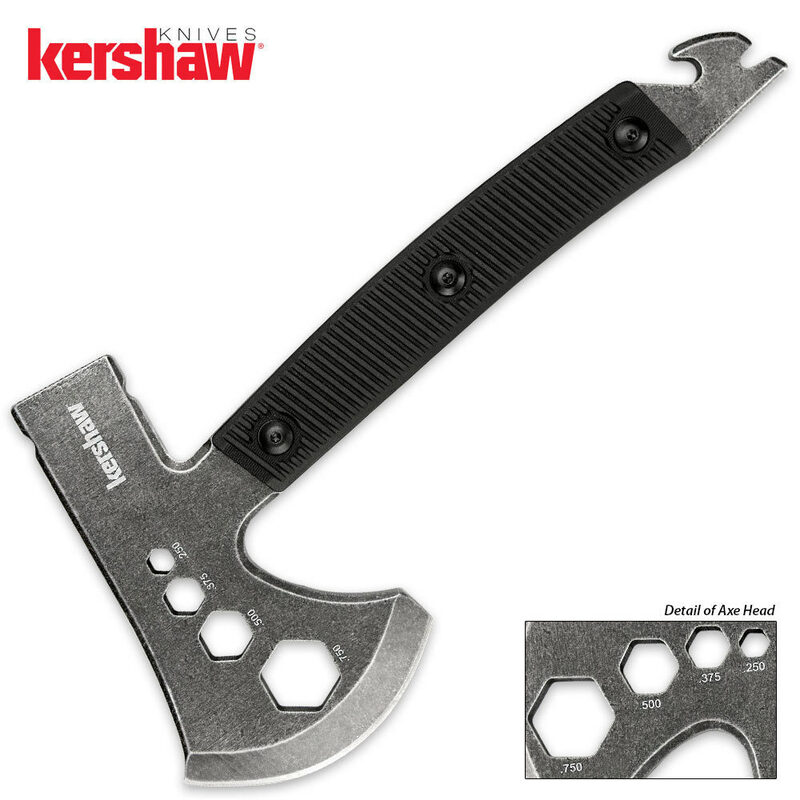 The Kershaw Tinder Personal Axe is a handy, multifunctional axe that is perfect for tackling all your general campsite chores. The unique design incorporates a built-in pry point, nail extractor, bottle opener and set of four hex tools into the handle, which features a hefty axe head on the business end. It's crafted of 3Cr13 stainless steel with Kershaw's popular BlackWash oxidized finish. The full-tang construction is hefty and built to last, offering long-term durability and years of good use. Glass-filled nylon handle grips encase the shaft of the axe, providing a secure, slip-free grip. Best of all, the compact design allows the Tinder to fit easily into your camping gear without adding excessive bulkiness.